CSJ at the finish line of Walk The Talk 2015. 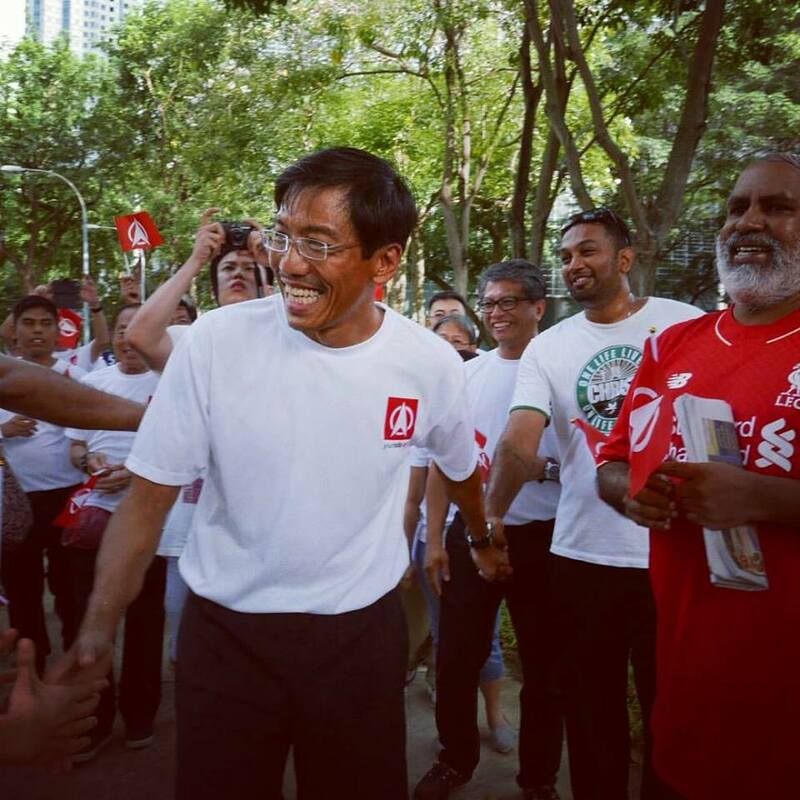 After spending the past four days on Walk The Talk 2015 across the island, raising funds along the way, Singapore Democratic Party (SDP) chief, Dr Chee Soon Juan completed his mission yesterday afternoon (Nov 15), with party members and supporters cheering for him at the finishing point – Hong Lim Park. 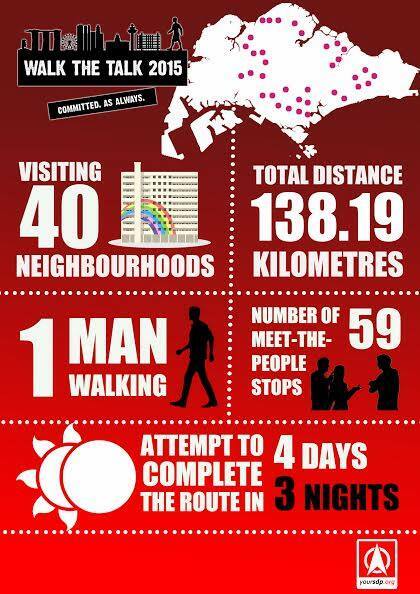 The 53-year-old kicked off his 140km-long walk on Thursday, starting with the western parts of Singapore, before moving to the north, east and finally, south over the next three days. The amount of funds raised has not been tabulated, said Central Executive Committee member Bryan Lim. Donations came in the form of cash and cheques handed to Dr Chee during his walk, as well as transfers to the party’s bank account. 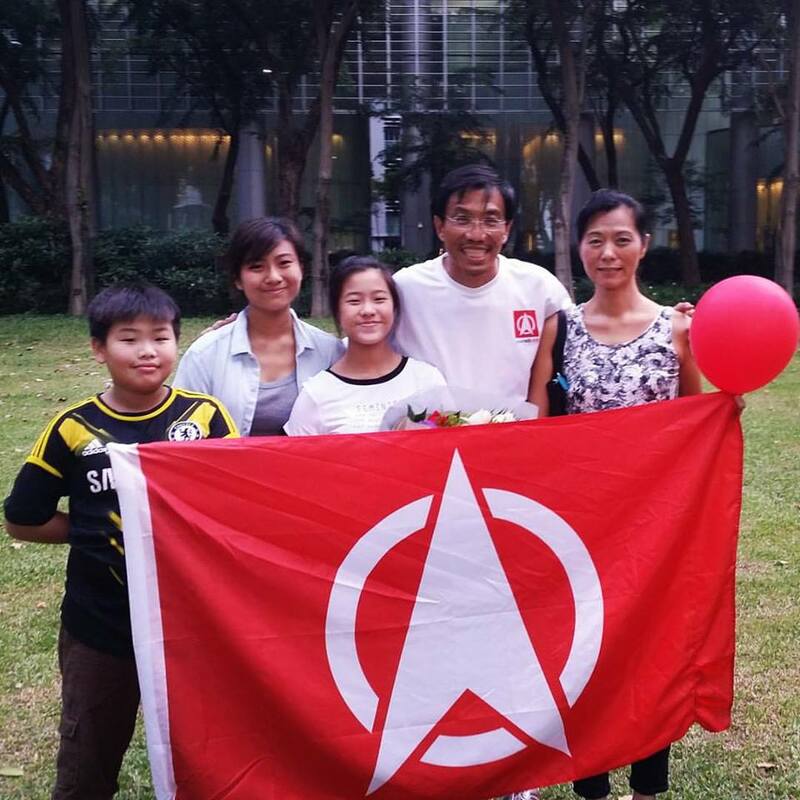 When he arrived at Hong Lim Park at 4.30pm yesterday, Dr Chee was greeted with a peck on the cheek by his wife, Madam Huang Chih-Mei, who also draped the party flag around his shoulders. The SDP also held a rally at Hong Lim Park, where party members Paul Tambyah, John Tan, Jaslyn Go and Damanhuri Abas — all of whom stood in GE2015 — spoke briefly, before handing the stage over to Dr Chee. What will he be doing immediately after the long trek: “I’d like to put my feet in a bucket of ice water, kick back and do nothing. Then have a meal with my family,” said Dr Chee.